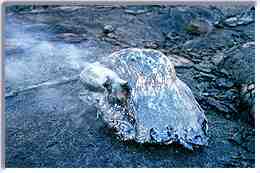 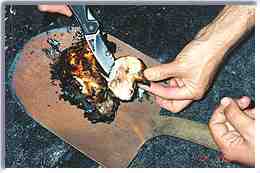 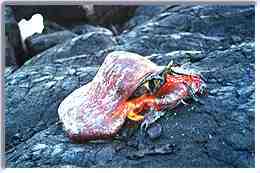 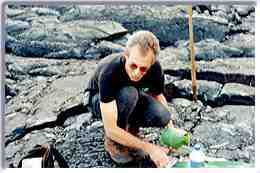 It is illegal to cook food in lava or remove lava from the Hawaii Volcanos National Park. 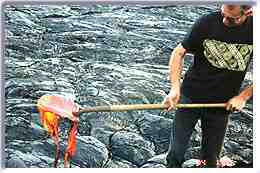 All the activities shown on this page were done outside of the park boundries on the Puna side. 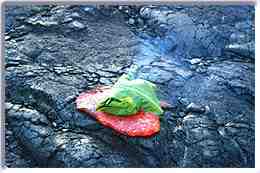 Once you place the Lava on the ground have your assistant position the leaf-wrapped food in the center of the Lava blob. 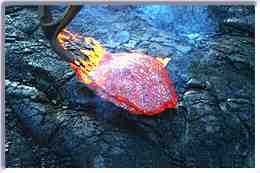 They will want to wear gloves for this operation as the Lava is VERY hot.